Like a lot of kids, despite living under the same roof, Tandi Brazell never really knew her dad. All she really knew was that Frank worked for Pacific Power. When her mother slowly became more and more ill, she watched her dad give up his time, freedom, and career for his wife, Venita. Her failing health worsened over a period of 19 years. During this time, Tandi began to know and respect her father as a person. “He became a real estate agent because he wanted to be closer to home and Mom,” Tandi explained. “Neither of my parents took any vacations or enjoyed many life activities for over 15 years.” A few years after Tandi’s mom had passed, her dad wanted to experience life again. “He wasn’t going to say no to anybody,” Tandi recalled. “Since we both love photography, I suggested we go on a 10-day Alaskan cruise together. 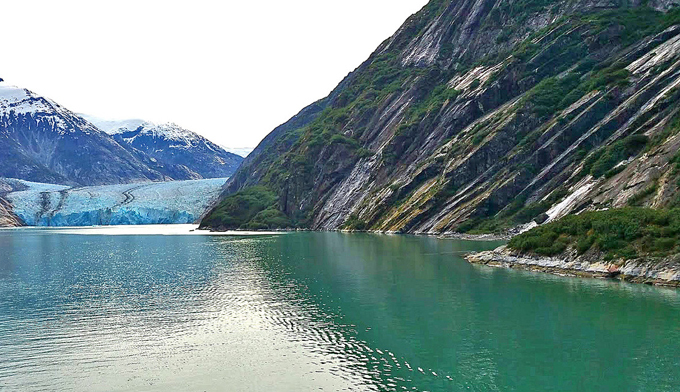 “Since we both love photography, I suggested we go on a 10-day Alaskan cruise together." The father-daughter pair spent a year getting ready, buying lenses and tripods for their identical digital cameras, as well as photography backpacks to carry it all. “One purchase led to another,” Tandi explained. “When we bought our 600mm lenses, we obviously needed bigger backpacks to carry them. We would call each other to compare notes, and talk about the trip. We even took quick, weekend photography trips in preparation for the Alaska cruise.” Leading up the cruise, the pair found themselves venturing out to photograph Yachats, Cannon Beach, Multnomah Falls and all along the McKenzie River. Each journey helped hone their photography skills. They soon became close friends. “Dad likes to take photos of landscapes, while I’m more into macro or close-up photography,” she said about one of their few personal differences. As Frank put it, a trip of a lifetime has a way of helping you appreciate what you have at home. For this father-daughter pair, that life together can be seen in every photograph they take. “The camera gear ended up costing more than the cruise. But we still have the gear. That means we can go on weekend adventures any time we want,” Tandi shared. At Northwest Community Credit Union, we appreciate and celebrate the uncommon. In fact, one of Tandi's photos will appear in our 2018 calendar! Like us, Tandi knows that it’s the journey that often matters most. 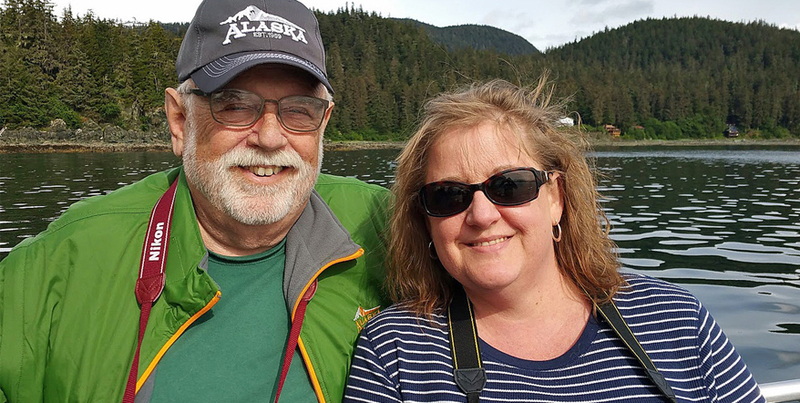 We’re honored that Tandi and her dad are Northwest Community Credit Union members, and that she used her Northwest Visa® Rewards Card to buy all the gear she and her dad needed to start their journey of a lifetime – as father, daughter, and friends.